The increasing costs of international air travel as a constraint to holidaying overseas has been well documented and has seen a rise in so-called ‘staycations’, whereby people are opting for UK destinations instead. The problem it seems extends to visitors from overseas hoping to spend their holidays in the UK, according to the latest reports from the European Tour Operators Association (ETOA). While foreign visitors contribute a great deal to the nation’s popularity and status on the world’s stage, what it means for UK ‘staycationers,’ in the short term, is less competition for short breaks and holidays and all the right deals on offer to enjoy them. 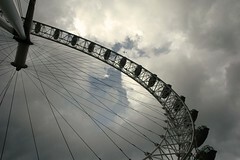 The report by the ETOA cites the preparations for London 2012 as a contributory factor for restricting overseas bookings. With some 40% of rooms in London taken up by the 2012 organisers at reduced rates for the duration of the games, this has seen less availability and higher costs for the remaining rooms in the capital. Anyone planning a London city break is therefore encouraged to do so now to beat the rush and to take advantage of the great accommodation deals currently available for London and other UK city break destinations. Bureaucratic red tape with visas is cited as a further restriction, making travel to the UK less attractive from many overseas locations. Ultimately, the lure of the UK is more than great enough to withstand temporary downturns and unnecessary administrative hassle but, in the mean time, value for money is the overriding concern of many UK holidaymakers. This being the case, there is no better time in which to take advantage of the discounts, special offers and deals on the table at the moment. There are very good reasons why the UK has always been a very popular destination for foreign visitors and these reasons are just as valid for those with less distance to travel.